A lot of good things are happening at Country Club Village. We are doing a facelift on the entire property – new metal roofs, the installation of curb and gutters throughout the property and new pavement will be done in the late fall. We have cleared some trees and are redoing some landscaping. 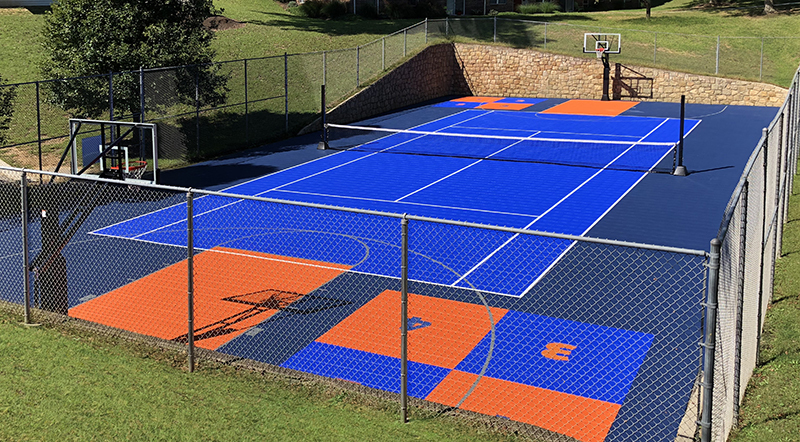 A new Sport Court with Tennis, Volleyball, Basketball, Badminton and Four Square is now open for your enjoyment. More is the on the horizon. We are also in the process of launching a new website. We are continuing to renovate our property so it remains the premier community in the Charleston area. The Sport Court with Tennis, Volleyball, Basketball, Badminton and Four Square is now open. LUXURY LIVING JUST MINUTES AWAY FROM IT ALL. Enjoy country living in a secluded area just minutes away from downtown Charleston, West Virginia. Nestled among the trees and rolling hills, Country Club Village is a gated community that offers luxurious living at its best. With all the amenities that await, Country Club Village is the premier apartment and townhouse community in the area. With the peaceful, serene setting, it is hard to believe that all the restaurants, shopping and entertainment are just a short drive away. Discover it. We are Not a HUD-Approved Property. Take Interstate 64 West going towards Huntington. You will take the Kanawha Turnpike exit, which is exit #55. Once you get to the bottom of the exit ramp you can only go one way. You follow the road until you come to 2 red lights in a row. You go straight through the first red light and at the second light you will make a left. Take Interstate 64 East going towards Charleston. You will take the MacCorkle Ave/S. Charleston Exit, which is Exit #54. At the bottom of the exit ramp you will make a right. Almost immediately, you will come to another red light, at this light you will make a right onto Jefferson Road. You will go straight until you come to the next red light with a set of railroad tracks underneath it. You will go straight through the light and up the hill. From South Ridge Take 119 North and get off of the Davis Creek/S. Charleston Exit #106. Make a left at the bottom of ramp. Follow that Road Until you come to a red light, make a left at that light. You will come to another red light almost immediately, at that light you will make another left, and proceed up the hill. ​If you wish to contact us by phone, call 304.768.4978.